Parking: Parking lot open early December through to March. Monday – Thursday 9:00 AM – 9:00 PM, Friday – Sunday: 9:00 AM – 6:00 PM. GATES WILL BE LOCKED AT CLOSING TIME! Ensure your vehicle is out of the lot. Please respect community residents. If the lot is full, park along 19 St. or at Canmore Park. Trails & Facilities: Approximately 6 km of classic and skate skiing suitable for beginners and up. Driving range is lit Monday through Thursday until 8:30 PM. There are no warming facilities. There is a porta-potty on site. Getting There: 19 St. & Chicoutimi Dr. N.W. Trails & Facilities: Approximately 2 km of classic and skate skiing suitable for intermediate to advanced skiers. (There are some pathway crossings.) There are no lights or warming facilities. There is a porta-potty on site. Getting There: Bow Trail & 26 St. SW. Shaganappi Point C-Train station is 200 m from the golf course access. Trails & Facilities: 7 km of trails for classic and skate skiing suitable for beginners and up. There are no lights, warming facilities or washrooms. Map: Trail map can be found here. 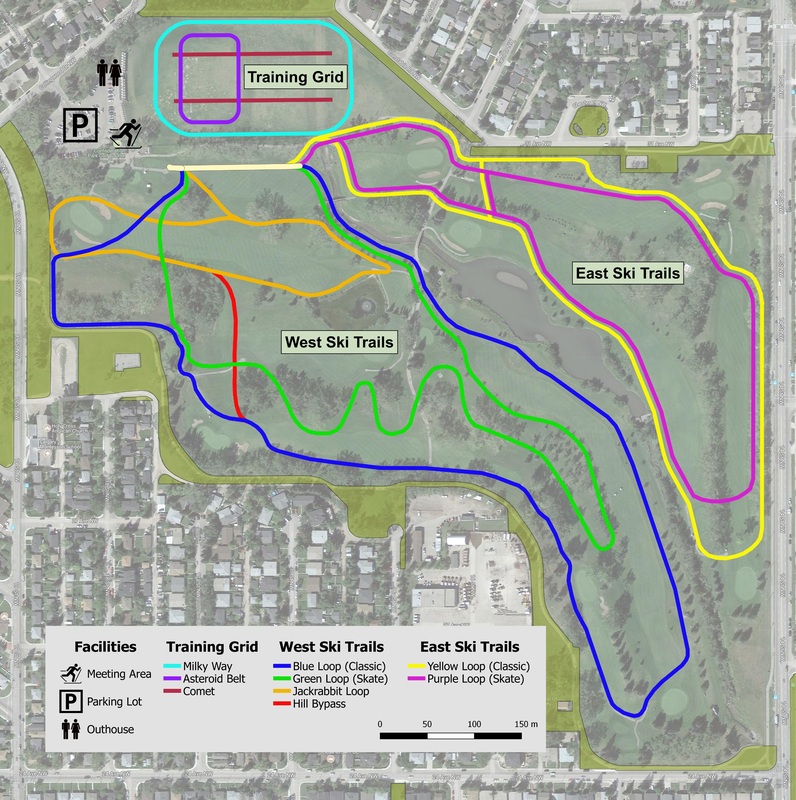 The City of Calgary Parks periodically groom other park and golf course locations. Check out their site for more details.